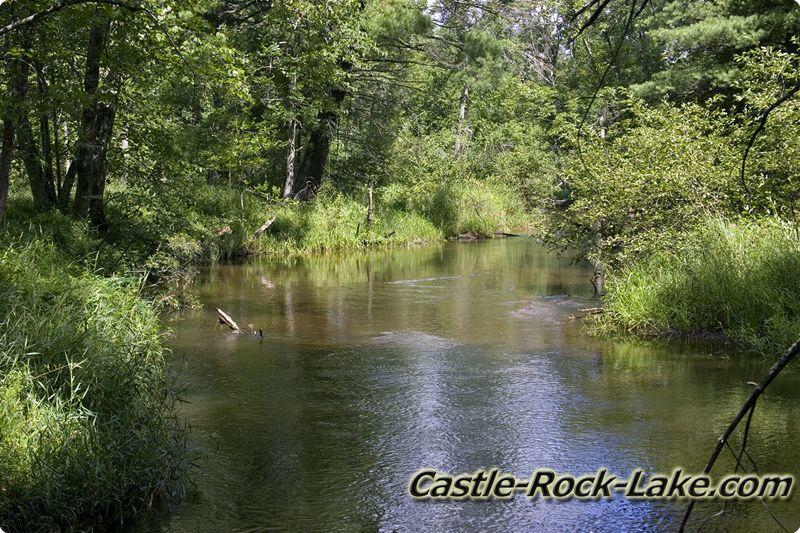 Big Roche-A-Cri Creek known for its Brook Trout, Brown Trout and Rainbow Trout originates near Plainfield Township of Waushara County. 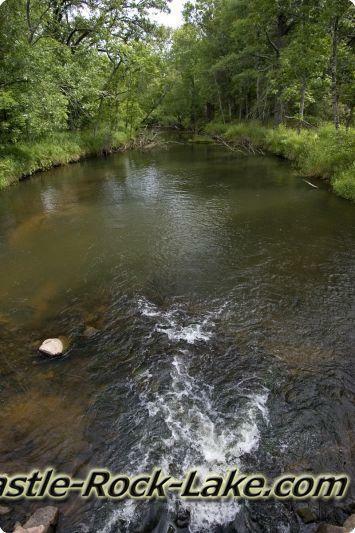 It flows to the west through 2 parts of the Big Roche-A-Cri State Fishery Area before entering Leola Township in Adams County, Central Wisconsin. 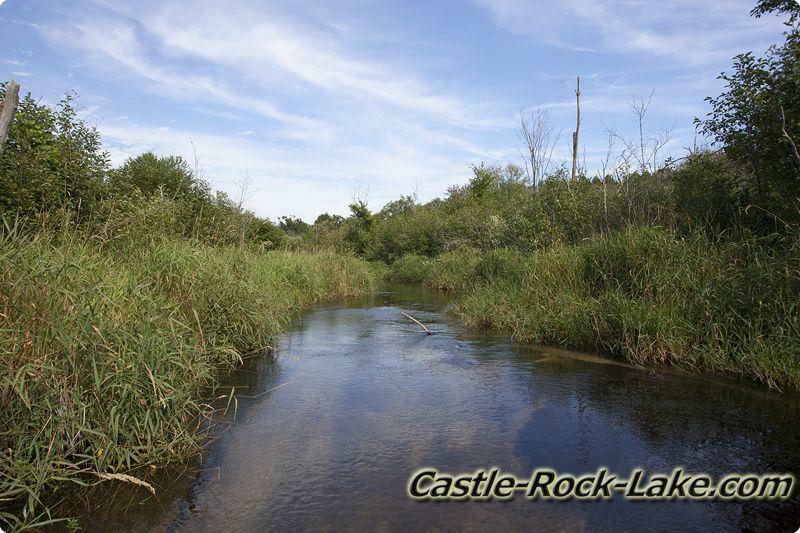 Once in Adams Cty the trout stream flows past 3 more parts of the State Fishery Area just south of Leola Marsh Wildlife Area where it starts a more southwestern course; a lot of the area around the creek is lower wetlands. 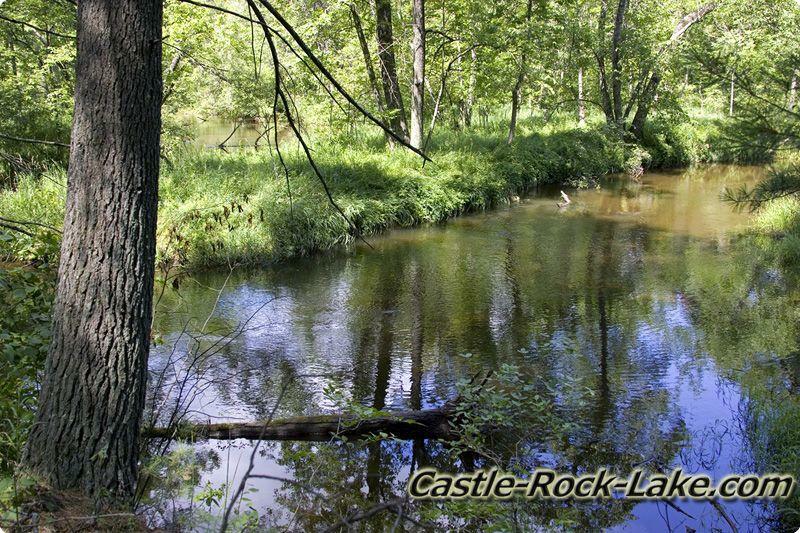 The creek is fed by a bunch of little unnamed creeks as it nicks the northwest corner of Colburn Township into Big Flats Township as it passes through Hidden Waters Development then winds through Trout Valley Subdivision where it meets up with Dry Creek. 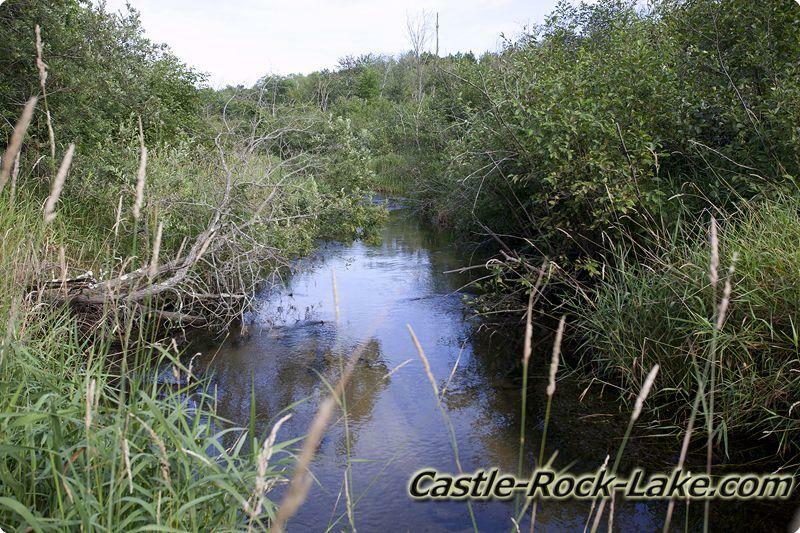 From here it get a little wider and starts creating more little oxbows as it travels south into Preston Township to form Big Roche-A-Cri Lake with a Hydro Dam on the west end of the lake. 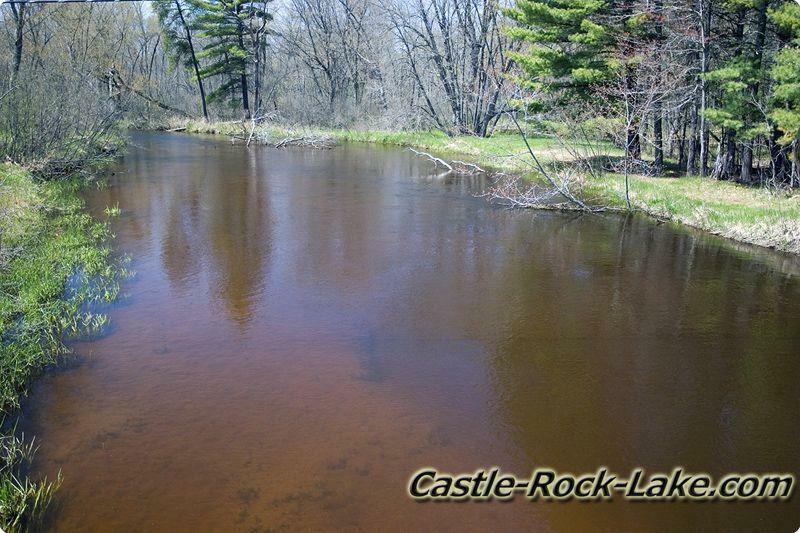 Just after the dam the water turns back into a creek again as it enters Strongs Prairie Township and is quickly fed a little more water by Deed Horse Creek. 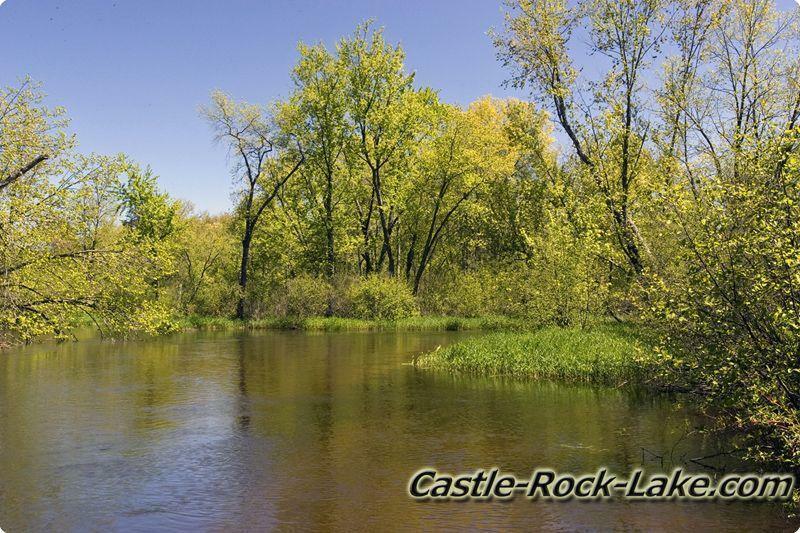 As Big Roche-A-Cri comes into the little Town of Arkdale WI 54613 it creates Arkdale Lake by another dam. 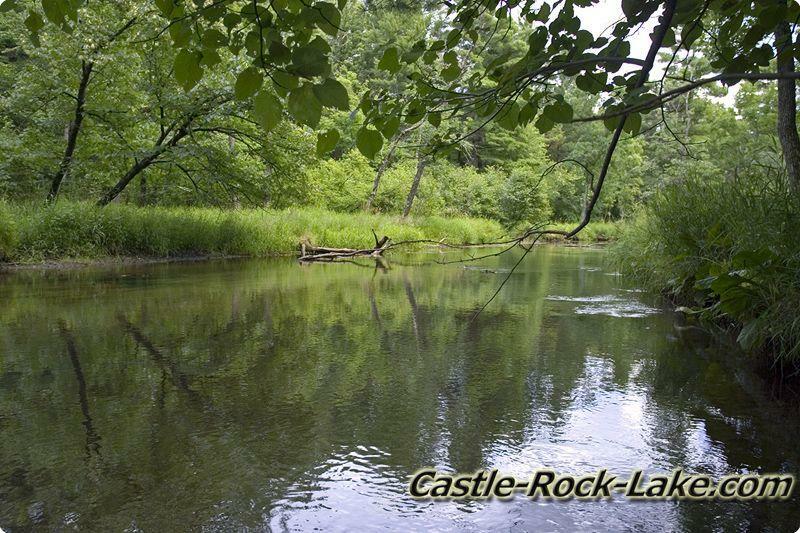 As the creek water is slowed by the dams and lake the water is naturally warmed up and is not as good as for trout habitat. 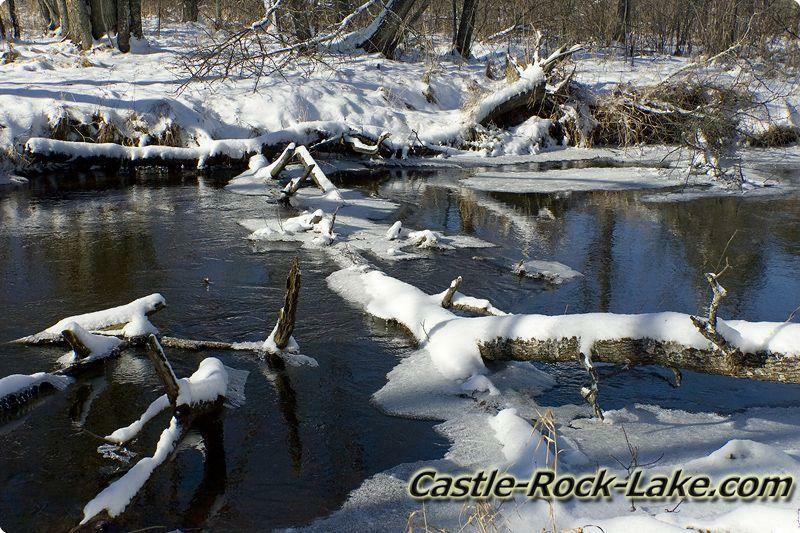 Now the water flows passed Crystal Brook Woods before it dumps into Castle Rock Lake which is a manmade body of water part of the great Wisconsin River System. 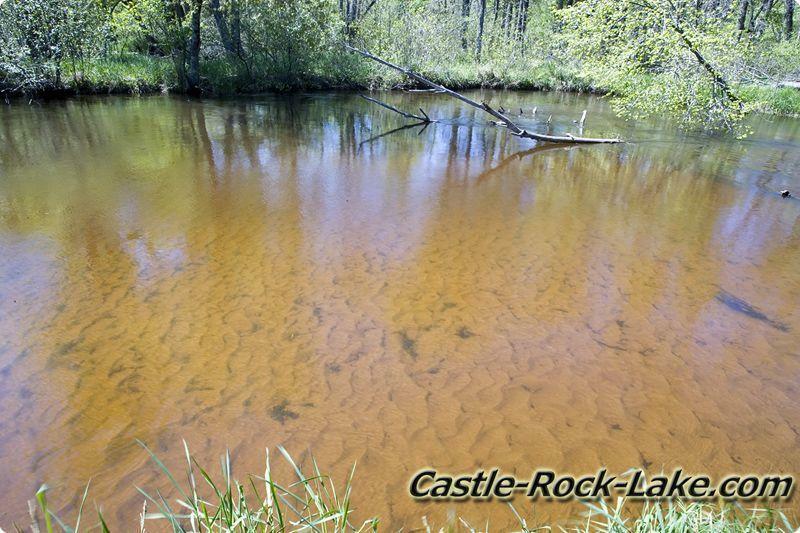 Follow the Flow of Big Roche-A-Cri Creek! 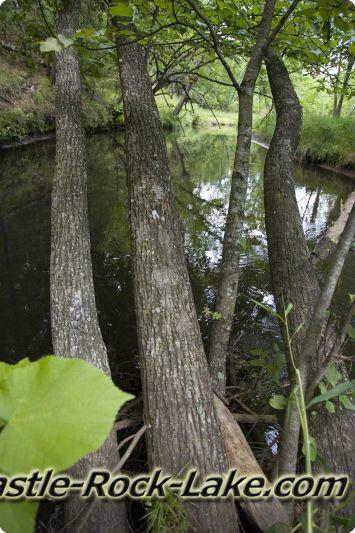 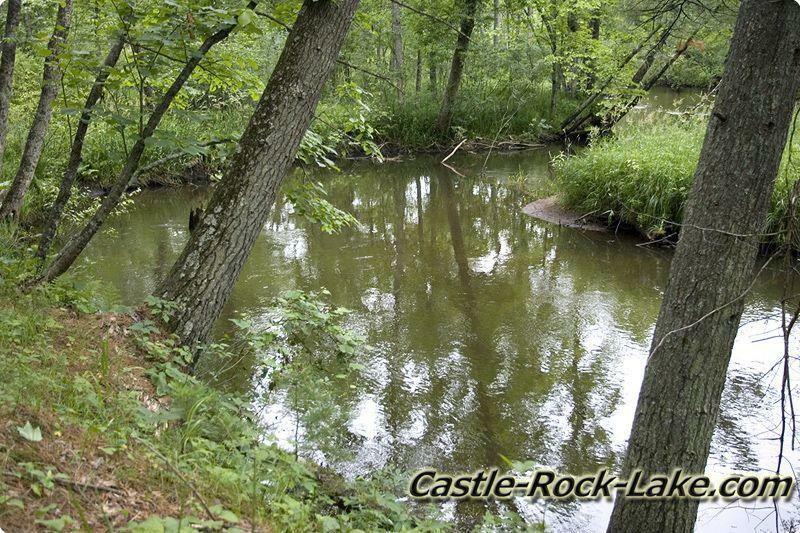 Plainfield Township – The creek starts with 2 small branches just west of I-39 / 51 southwest of Plainfield, WI. 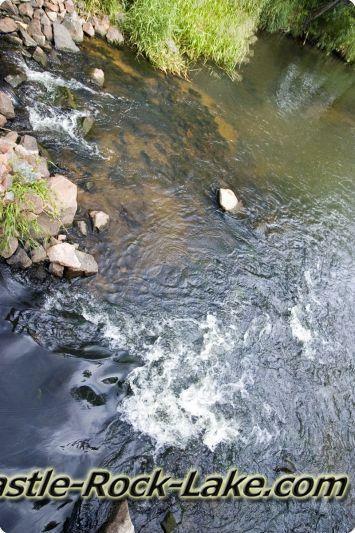 then join together about 1 mile down. 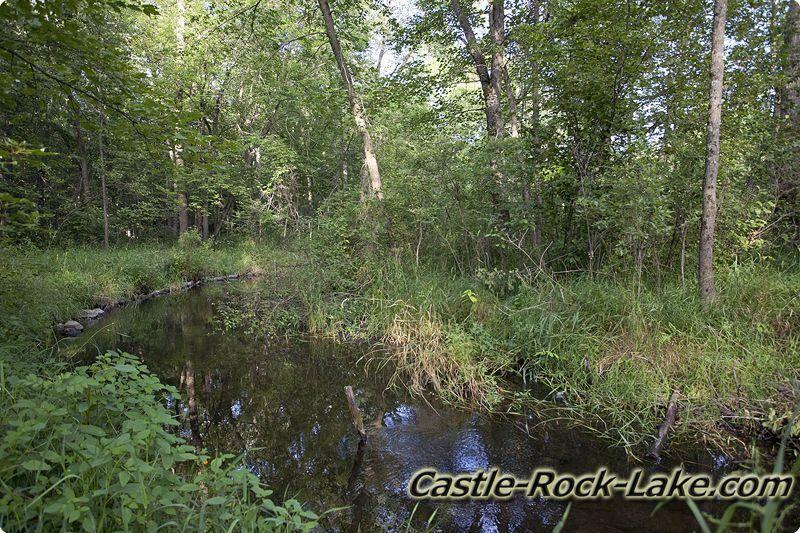 There is plenty of Wisconsin DNR public land along the creek. 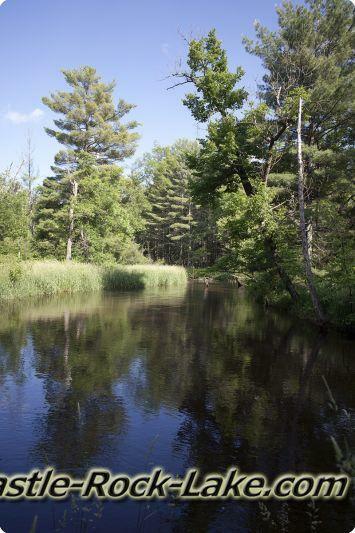 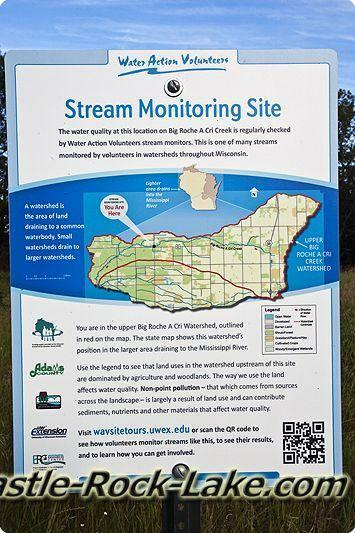 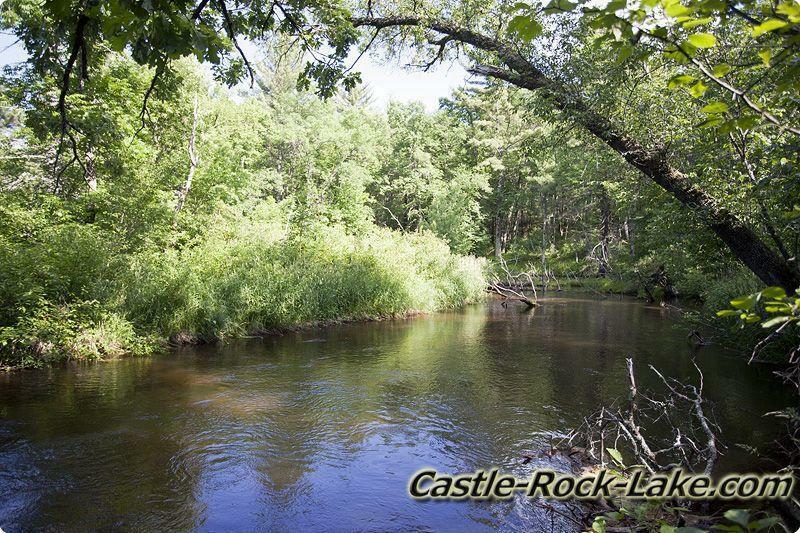 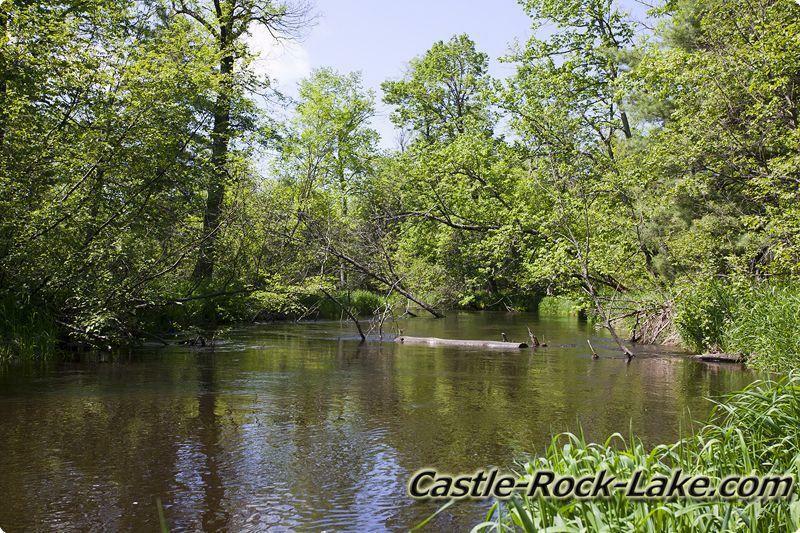 Leola Township – As the creek enters Adams County from Waushara and becomes part of Big Roche a Cri Fishery Area which is open to the public and then continues flowing southwest. 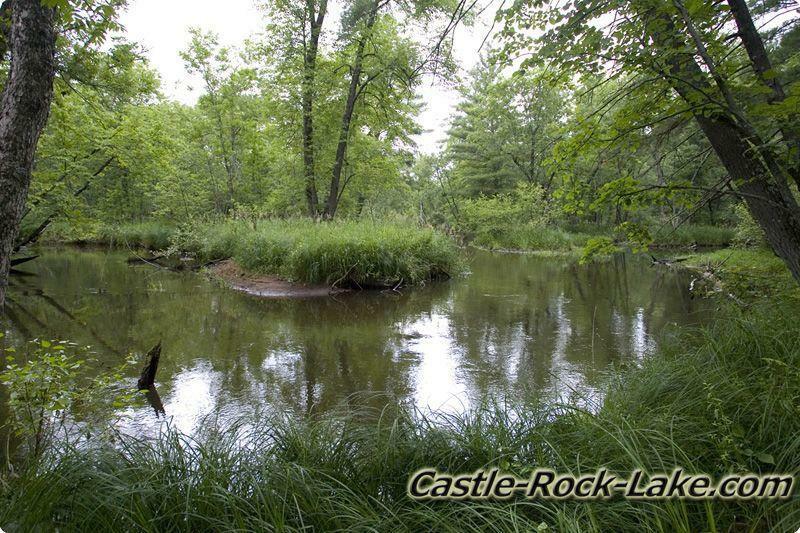 Colburn Township – It enters the farthest most northwest tip of this township for only about a ¼ mile. 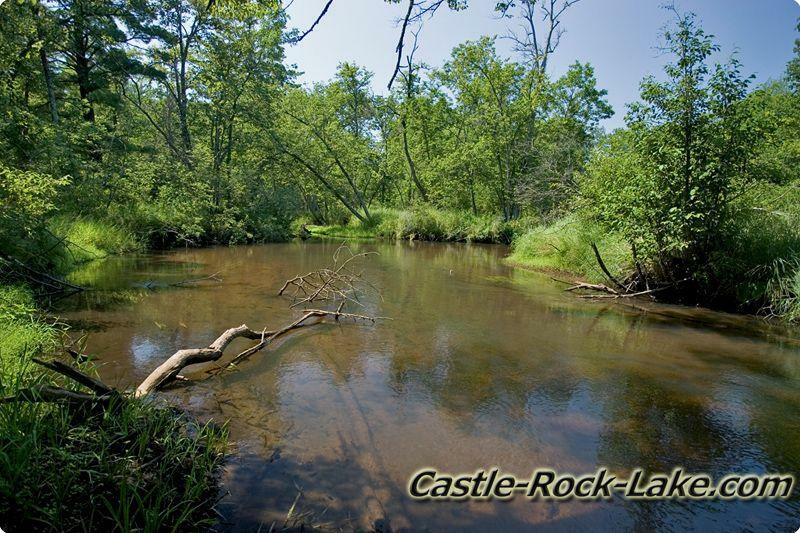 Big Flats Township – The creek keeps getting larger and flows a little faster the farther southwest it goes. 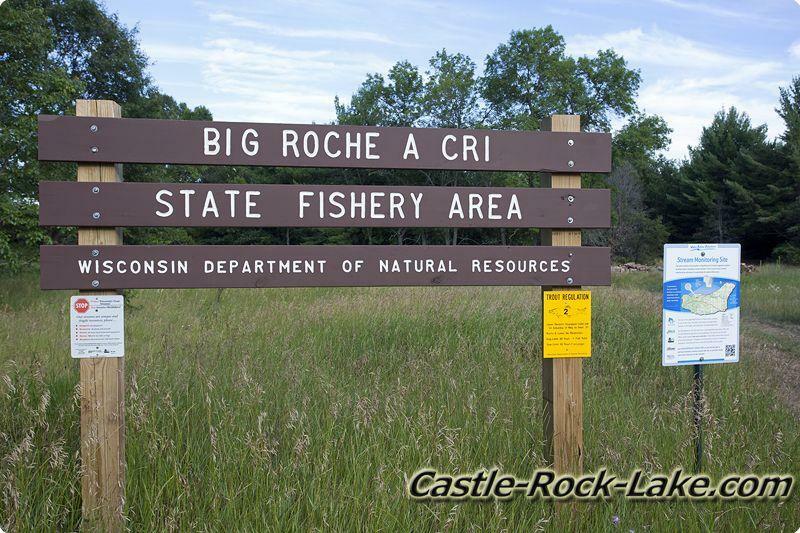 It passes Trout Valley which is a one square mile development featuring Big Roche-A-Cri Creek. 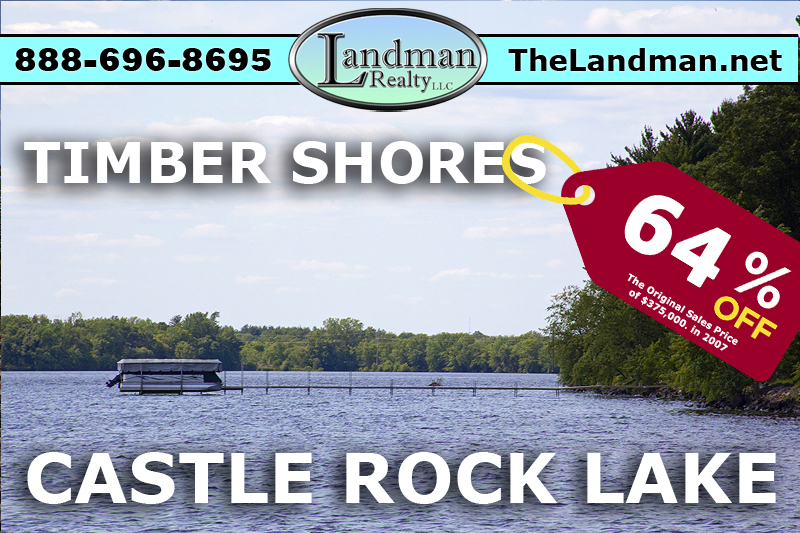 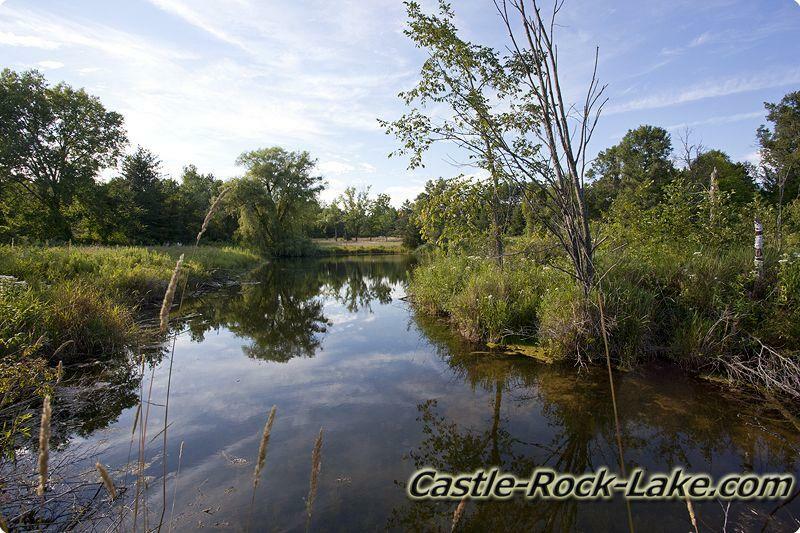 Preston Township – Then it cuts diagonally across the township and forms Big Roche-A-Cri Lake which is a 200+ acre all sports lake. 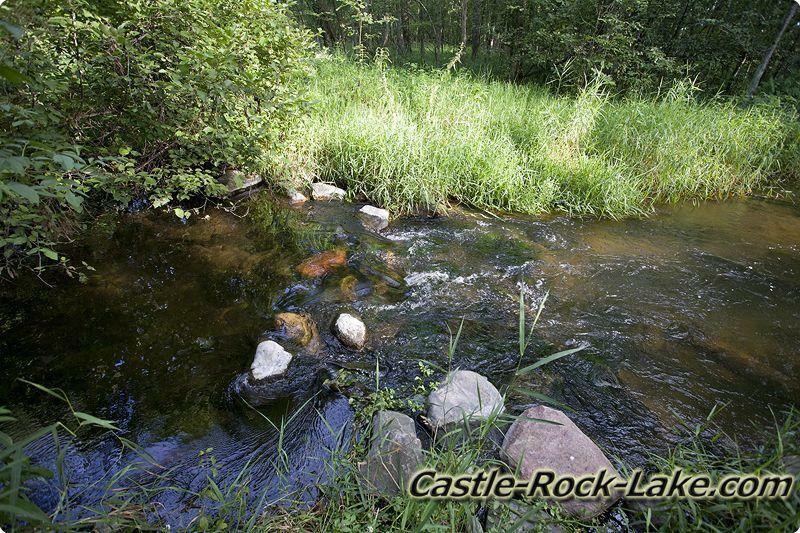 After the water leaves the lake via a small hydro dam it turns into a trout stream. 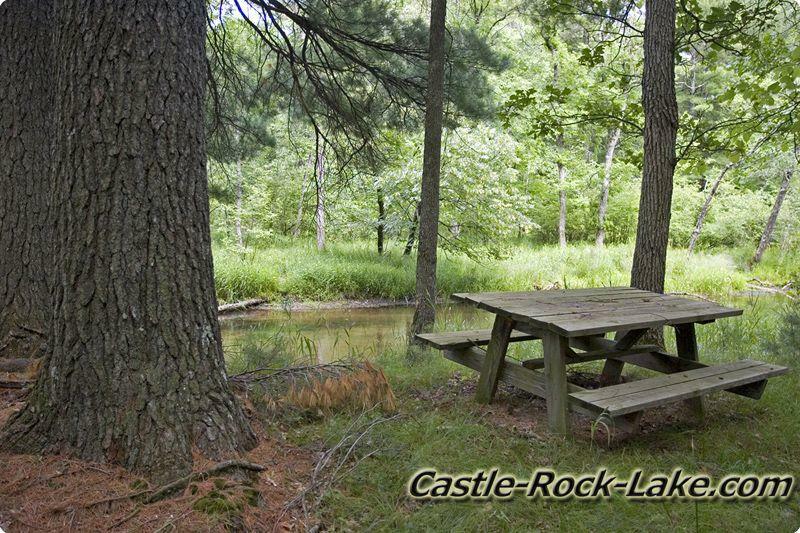 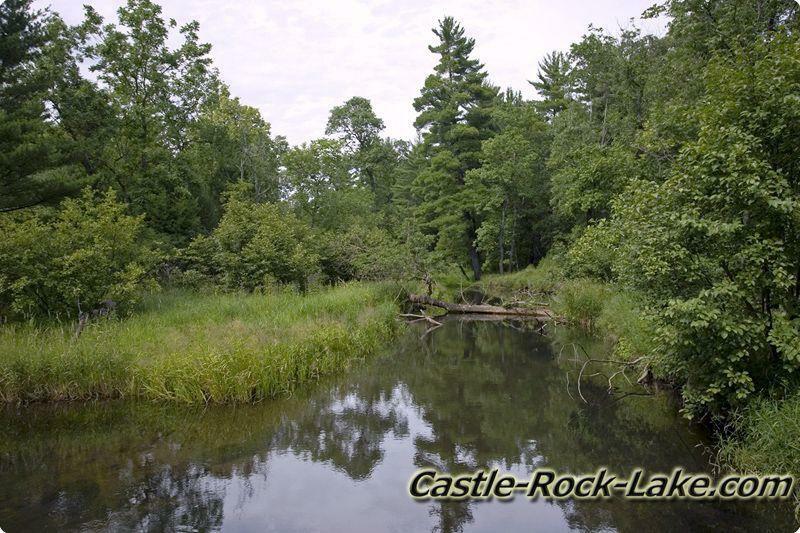 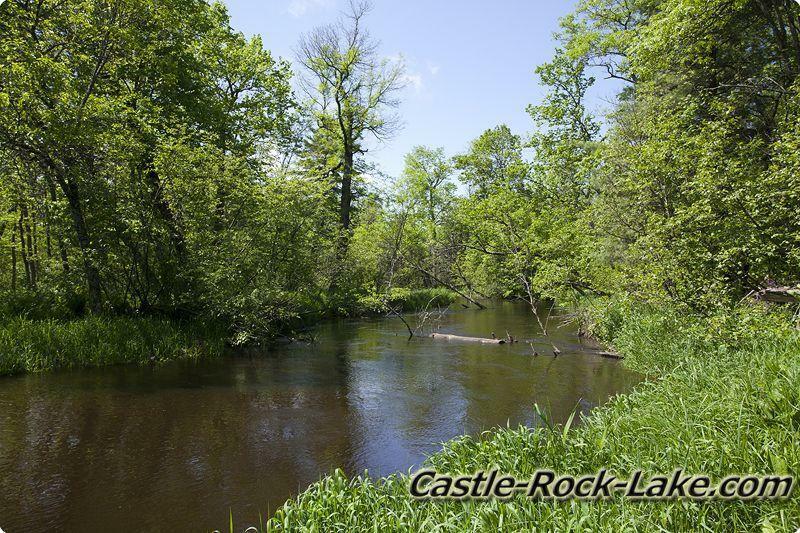 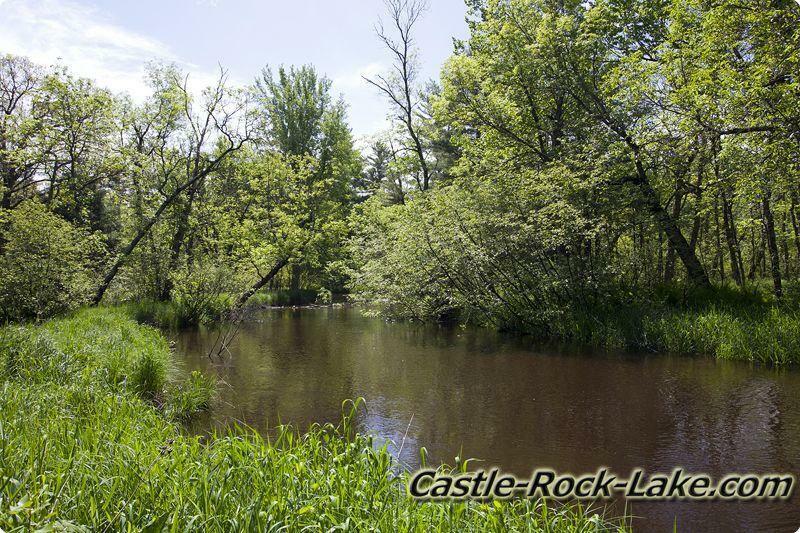 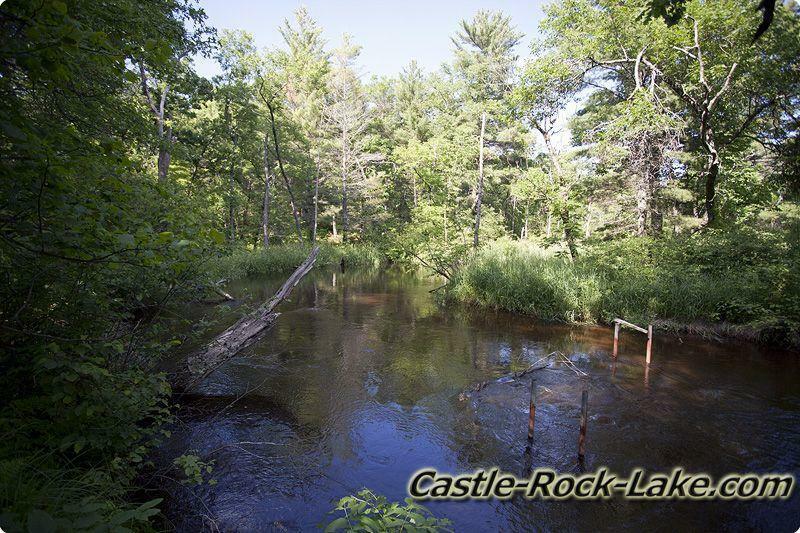 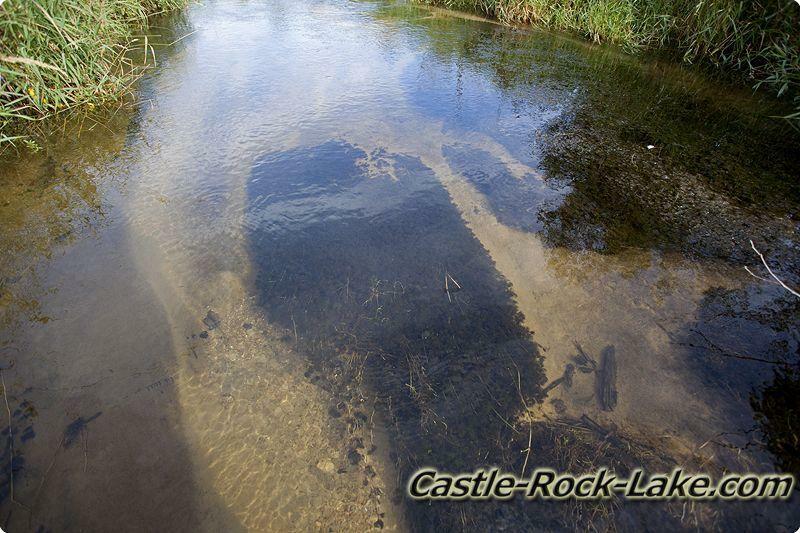 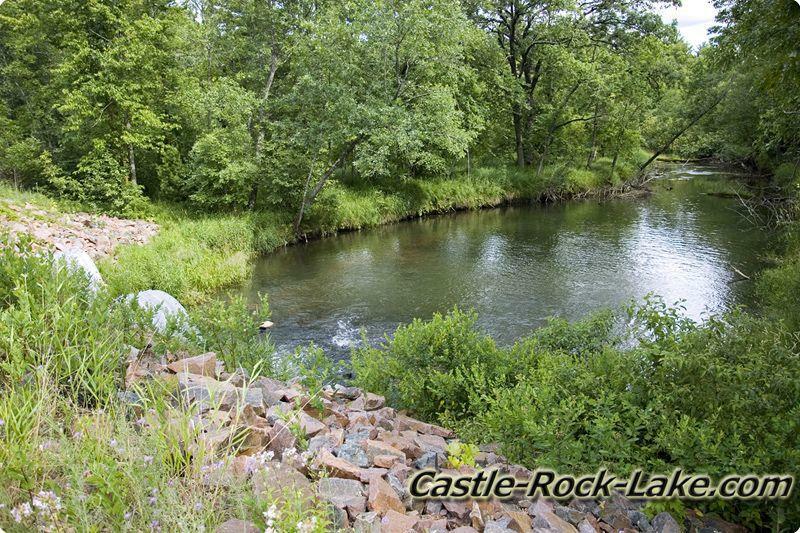 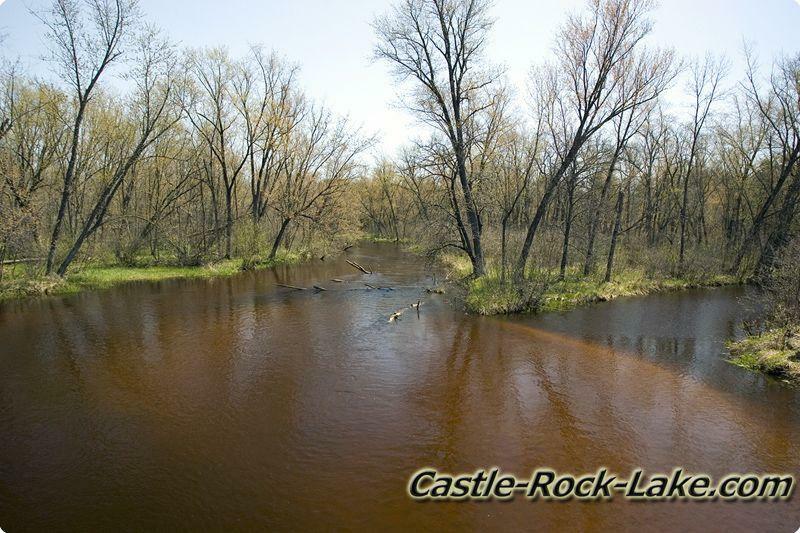 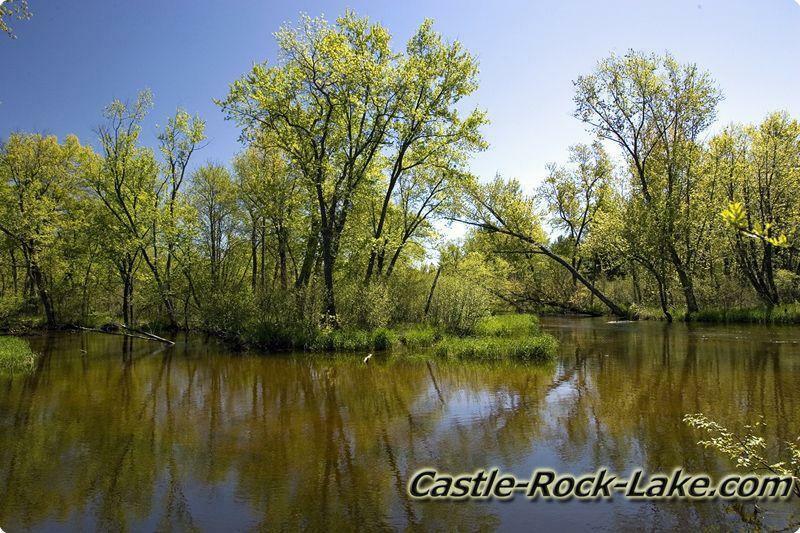 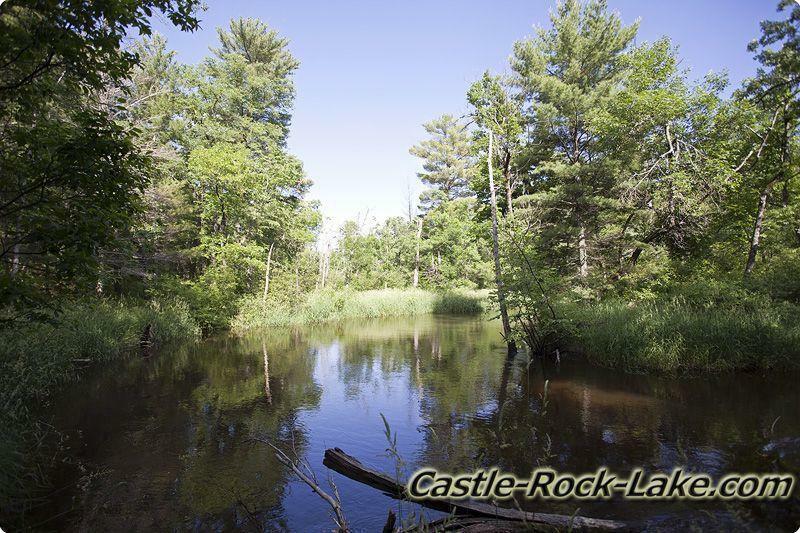 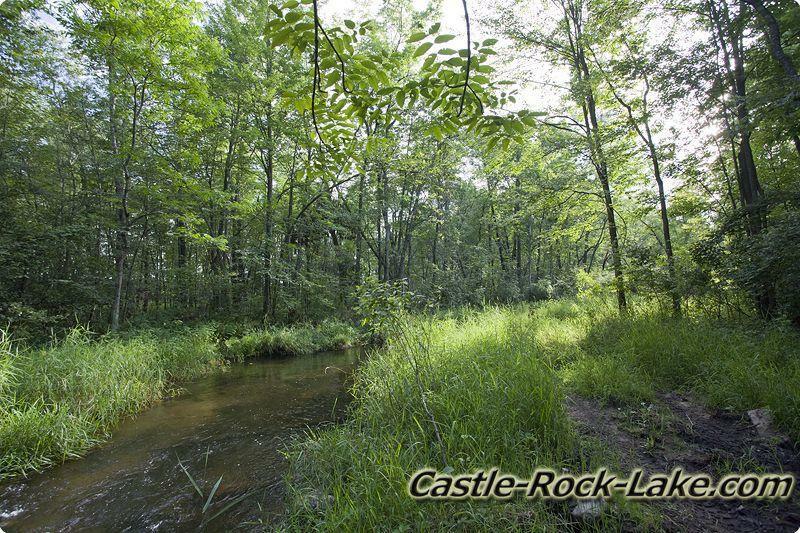 Strongs Prairie Township – Big Roche-A-Cri Creek then forms Arkdale Lake which is a small 50 acre body of water controlled by a regular dam then it winds down passed Crystal Brook Woods about 1 mile between in joins with Castle Rock Lake.